The Gyuto Monks offer excerpts from their most important chants, selected by the monastic order’s chant master for their power and beauty. These multiphonic chants, passed down over generations by Tibetan monks, are not intended as entertainment, but for prayer. Excerpts include ceremonial chanting for exorcism and blessing, praise and evocation of deities, and meditation during which monks and nuns visualize themselves as deities in order to gain enlightenment. The chants feature a variety of sounds including solo and choir voice, drilbu (small bells), damaru (small drum), nga (large drum), kangling (short trumpets), dungchen (long trumpets), rolmo (horizontal cymbals), and silnyen (vertical cymbals). 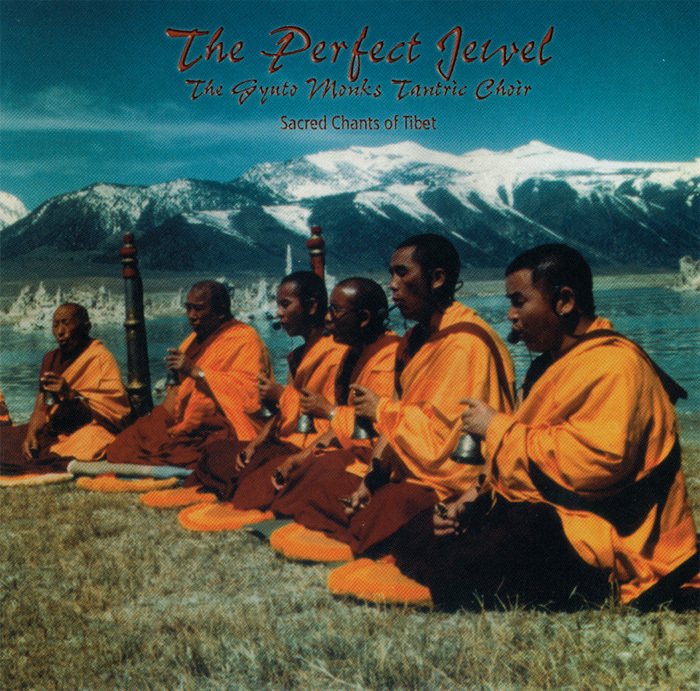 The Perfect Jewel: Sacred Chants of Tibet was recorded in 1995 and issued in 2002 as part of “THE WORLD” series (now part of the Mickey Hart Collection made available by Smithsonian Folkways).